In June of 2007, the USFWS completed and released a comprehensive environmental assessment concluding that falconry had "no significant impact" on the population of raptors taken from the wild for the purposes of falconry. 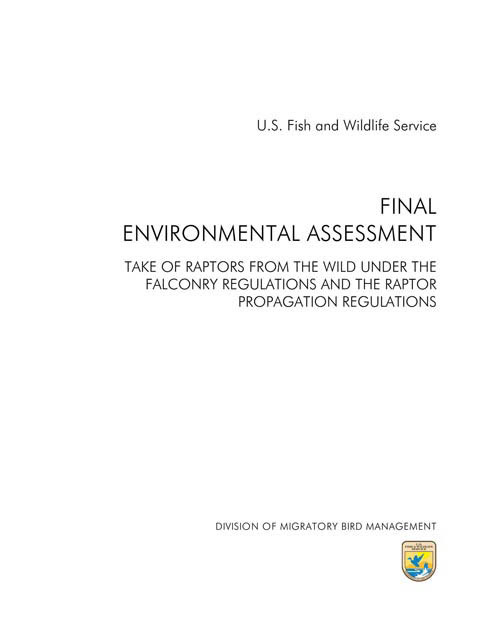 In fact, the number of wild raptors taken for falconry purposes represented only 5% or less (depending on species) of the allowable wild take numbers recommended by the USFWS Environmental Assessment. This new study supports an earlier study conducted 20 years ago with the same definitive "no significant impact" conclusion.